The ultimate in beauty and luxury. 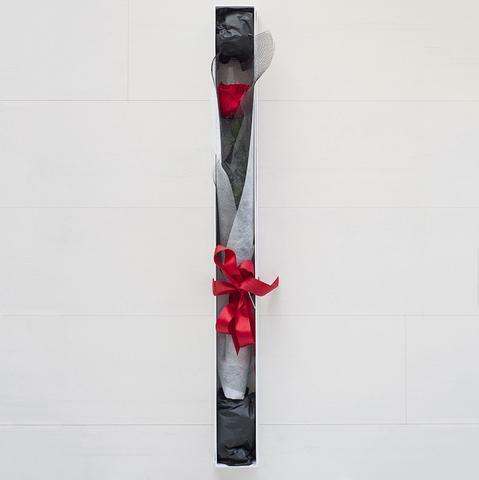 A single long stemmed real rose, that is preserved by an infusion of special oils that defy the ageing process and produce blooms that will last a year. In simplicity, there is beauty. And sometimes a single flawless stem says it all. That gorgeous rose you give in February will be gorgeous still in July, in August, in December… That’s the beauty of giving a single preserved bloom. It’s a real flower, and it makes a genuine impression. Your love won’t fade – and neither should your gift. 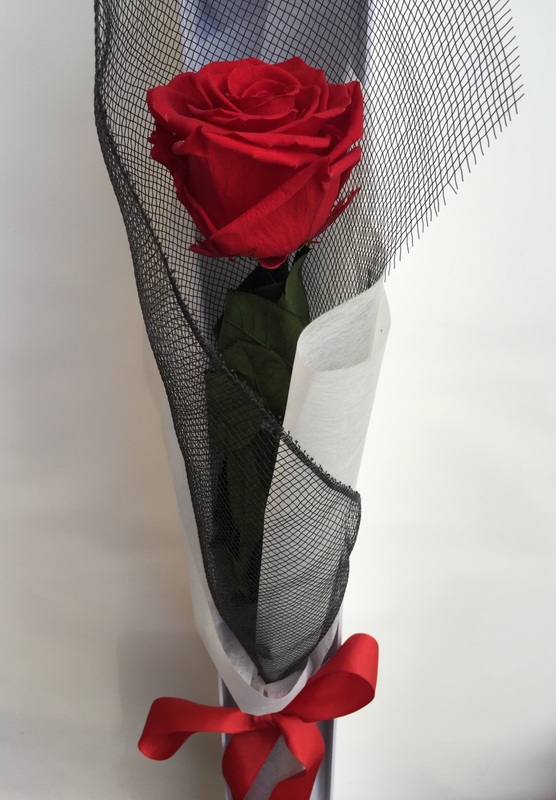 This gorgeous rose is wrapped in a presentation box for safe keeping or display.